Windows today are vastly different from their predecessors of decades ago. While these might still incorporate the same functionality, today’s windows increasingly focus on energy savings. If you’re new to the concept or still find it confusing, Kroll Construction answers your common questions. Question #1: What is energy efficiency? The prime reason to go for a wood window replacement in Detroit, Michigan is that the material doesn’t regulate heat too well. Take note that energy efficiency is about keeping heat where you need it the most—inside during the winter, outside during the summer. Vinyl windows help you save money because you’ll be less dependent on your air conditioner or heater. Question #2: When is the best time to replace my old windows? Find out if the window has been around for two decades. Aging windows are more than just a problem aesthetically; these also can fail to meet your needs. This is especially true for wood windows because these are vulnerable to rotting and deterioration over time. Question #3: If I get new windows, what should I look for? It all boils down to the materials. For the frame, you’re going to want vinyl. Those that feature a multi-chamber construction with fusion-welded corners are ideal, as these will resist heat transfer well. For the pane, go for low-emissivity or Low-E glass, especially those that are gas-filled. These types of windows control the amount of convection between the glass; helping you use less energy to heat and cool your home. When considering a wood window replacement in Detroit, MI, a great option is to upgrade for energy efficiency. Choose durable windows that can also help you save money in the end. 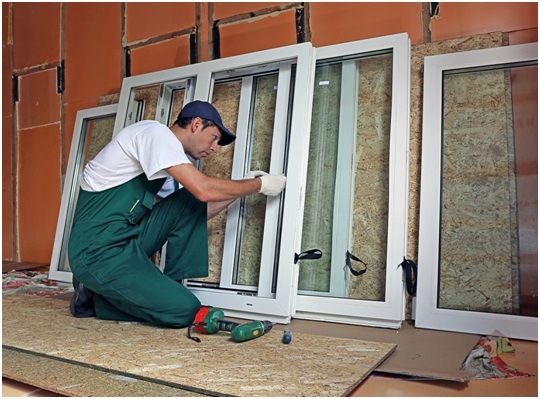 Our window replacement option is sure to provide you with the energy savings you could want. We offer quality vinyl windows from Alside. These are sure to withstand any weather condition, even the harsh Michigan winter. Call Kroll Construction today at (888) 338-6340 to find out more.